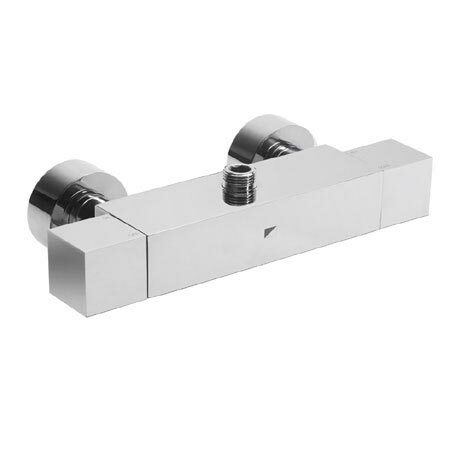 The sleek shape and functionality of the Factor Top Outlet Bar Valve will make an impact in any bathroom. The valve is fully thermostatic and is designed for use with a rigid riser diverter rail for control of two separate shower accessories. An easy fixing kit is supplied to assist with the surface mounted installation. Suitable for all plumbing systems with a minimum operating pressure of 1.0 bar, the valve features easy to use temperature and flow controls and an automatic shut down if the cold water pressure should suddenly fail and is limescale resistant. All Roper Rhodes shower valves are guaranteed for 10 years.